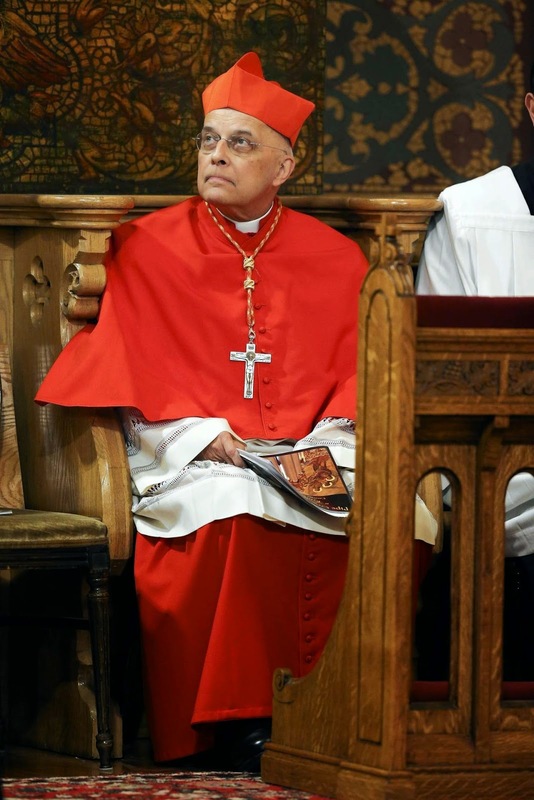 CARDINAL GEORGE loved the Church’s liturgy and its music. As a choirboy at St. Pascal Parish in Chicago, he excelled as a boy soprano. Decades later, when he celebrated the 50th anniversary of his priestly ordination he showed how he still had this great love for sacred music, as he selected all the music for that Mass, which included chant, the Renaissance polyphony of Palestrina, and other choral masterworks. From the time I entered the Canons Regular in 2003, Cardinal George had always expressed interest and support in all the musical endeavors going on at St. John Cantius. He was excited when he learned about our Casavant organ project, the restoration of ‘Tina Mae.’ He made special accommodations in his schedule to be present to bless the organ on the Feast of St. John Cantius, October 20th, 2013, on what was a very busy day for him. On numerous occasions over the years, His Eminence discussed with me the musical intricacies of Gregorian chant, sacred polyphony, and organ music. When he made a canonical visitation a few years ago, he met personally with each priest of the community. Cardinal George spoke to me about the importance of my role in the parish and in our community as it relates to the restoration of the sacred through music. He urged me to integrate music ministry in my priestly ministry and to use my musical training to help foster the “restoration of the sacred” through liturgical music. Indeed, in my eight years of priestly service, I have seen how God’s grace inspires souls and brings them back to a life of faith. Oftentimes the finger of God touches the heart through the ear and brings it back to life through that indescribable and sweet gift of music. When Cardinal George made his annual visitation to the Canons, he always joined us for the singing of Vespers. Many times, he took me aside during these visitations to underline the importance of singing the Divine Office. He encouraged all the Canons to foster this important art of praying through the singing of the Davidic Psalter and to be faithful to this integral part of our life as Canons Regular. During the Year of Faith (2013), I composed a Mass setting entitled Missa Porta Fidei. When our choir was invited to go to Rome for a choral festival celebrating the 500th anniversary of the Vatican’s Choir (Capella Giulia) during the “Year of Faith,” Cardinal George sent both Pope Francis and Pope Emeritus Benedict XVI a recording of Missa Porta Fidei. When Pope Benedict XVI issued Summorum Pontificum in 2007, Father Phillips and I discussed what the Canons might be able to do to assist the Holy Father and the Church in restoring wide use of the 1962 Missale Romanum. Father Phillips suggested I meet Cardinal George to discuss this. I told him about our ideas and not only did he enthusiastically grant his permission to start SanctaMissa.org, our tutorial website, but he offered us the use of the facilities of Stritch Retreat House and Mundelein Seminary campus for our workshops. His Eminence gave tremendous support and encouragement in this work done for the glory of God and the good of souls. In response, the Canons have been able to train over 2,000 priests to celebrate the liturgy in the extraordinary form of the Roman rite. 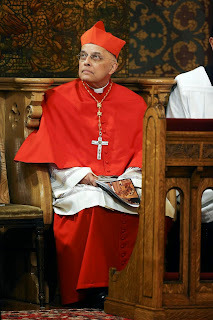 The Canons have been given a special legacy by Cardinal George “to restore the sacred” through the liturgy, because it is the liturgy that helps bring our faith to its fulfillment. The sacred rituals, the splendid ceremonies, the riches of Sacred Scripture, the inspiring prayers, and the sacred rites are all important means which the Church uses to strengthen our faith and to accompany us through our earthly pilgrimage. The liturgy is “the primary carrier of the tradition that unites us to Christ” (Interview of Cardinal George, 10-28-14), and the beauty of the liturgy is indispensable in our ministry of helping Catholics restore in their lives the perfect image of God.